So.... I'm a big fan of Stanley Tucci and Chef Gianni Scappin! 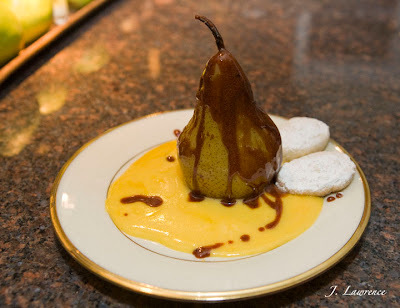 I love Mr. Tucci's movies and I love Chef Scappin's culinary skills! 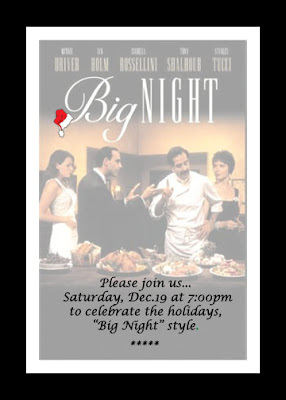 One of my favorite movies happens to be "Big Night" starring, you guessed it, Stanley Tucci, and one of my favorite local restaurants is "Cucina" in Woodstock, NY where Mr. Scappin is the executive chef and co-owner. I hosted a "Big Night" themed dinner party a few years ago, it was a lot of fun, so I decided to host another one again. This time though, would be a little different. 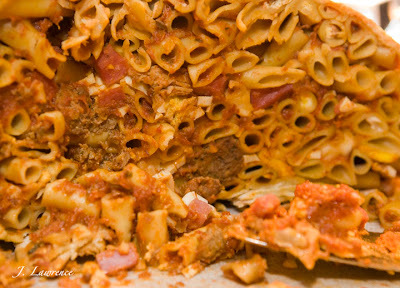 My menu was based on the cookbook "Cucina & Famiglia" co-authored by Chef Scappin and Joan Tropiano Tucci, (Stanley Tucci's Mom); Chef Scappin was also the consulting chef for the film. 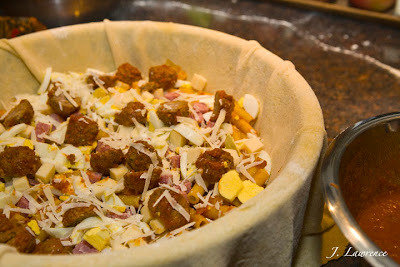 The signature dish for the movie was TIMPÁNO, which I made for the first dinner party. 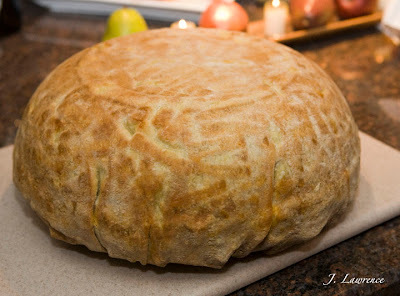 It's a fairly easy dish to make, but, very time consuming. Invitations where mailed with the assigned recipes, I was making the Timpáno and the Braciole, my guests where making the rest. I had invited five couples. Mother Nature on the other hand, did not cooperate; we got a snow storm of several inches that evening. Unfortunately because of it and driving distance, one couple had to cancel. I had assigned the Arugula, Prosciutto and Pear salad to them, but because of the circumstances, we did not have it. It all worked out, but we sadly missed them. In the movie, the "big night" takes place in a restaurant, the tables are set with white linens and the centerpieces are bottles of wine. 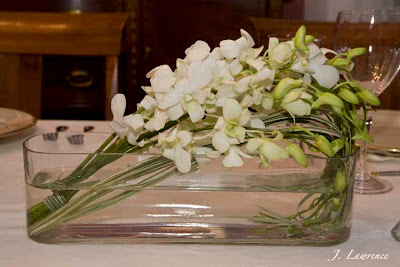 I was going to set my table that way, but being the flower lover that I am, I could not! 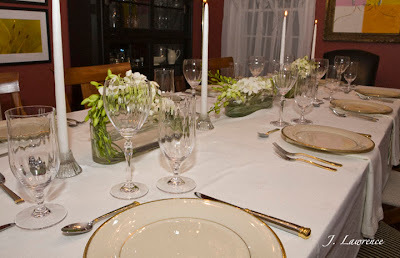 It was after all a holiday dinner party, how could I not have flowers on my table. Good friends, good food, interesting conversations along with Louis Prima singing in the background.... it was a great big night! What? No pics of the bruschetta!!!??? Great photos, Julie.